Reduce filtration cycles. 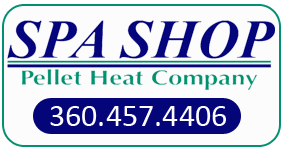 Shift spa water heating to off-peak times, if possible. You can save water-pumping energy by reducing filtration cycle times. You can help reduce utilities' peak loads - reducing pressure on utility rates - by not operating the spa water heater during peak hours - 6 AM to 10 AM and 5 PM to 9 PM. Typical filtration cycles are four hours, twice per day (for hot tubs operating a single or two speed pump). Circulation times do not necessarily mean heating times. To maintain clear, clean, and safe water, circulate the recommended times listed above (and adjust up or down based on your use pattern). If you will not be using the hot tub for 3 days or more, turn down the thermostat. Plan ahead so that the hot tub will be up to temperature when you wish to enjoy it. Add an insulation blanket. All hot tubs should have an energy-efficient insulating cover. To save additional energy, increase the insulation value over the top of the hot tub with a floating, insulated blanket. Spas should have a good quality solid foam cover, which has good isolative qualities. Replace your cover if the interior foam is broken or water-saturated. Lifting systems are available to make the handling of the covers easier and help to extend their life. A floating cover should also be used for maximum heat retention, also increasing the life of the foam cover. Standard covers have an R-value of approximately 12. Including a 1/4" closed cell foam floating cover under your hard cover can increase the total insulating value to R-16. Energy Efficient Spas and Hot Tubs: Significant improvements in the construction, equipment and controls used on today's hot tubs make them more energy-efficient than their predecessors of 5 to 10 years ago. Consider a new energy-efficient model. Reduce the temperature. Hot tubs are commonly heated to 104°F. Reducing the temperature to 102°F will save energy. Leaks and water loss are wasteful and can be costly. Look for obvious drips and repair any leaks. When using the spa, make sure your favorite jet is not sending a large stream of water on the deck as you back into it. Adjust the jet down or use a booster pad to adjust your height. Drain the spa only when necessary. Spas, because of bather load should be drained every 3–4 months. Anything that can be done to extend this time can translate into savings both in power and water. When it is time to drain, either drain to a sanitary sewer or use the water for the lawn. Make sure no chemicals have been added for the last 48–72 hours before draining. All outdoor pools should have an evaporative cover. Solar covers can add up to 10 degrees of heat, taking some of the load off conventional heaters. By putting the cover on a month prior to using your heater you may be able to heat the water up by as much as 20 degrees just from the sun alone. Covers also reduce temperature loss during non-use times, keep the pool cleaner and cut back on water loss due to evaporation. Using a cover with a reel system, which can prolong its life as well as making it easier, to take off and put on, it can make a big difference on energy costs. Chemical covers, which produce a micro thin layer on the surface of the water, can also reduce heat loss, which can translate into more savings. Safety covers are also available to not only save on operating costs but to add a barrier of protection for small children, non-swimmers, pets, or uninvited guests. Recommended temperatures for pools according to the Red Cross is 78 degrees for swimmers. Each rise of one degree will translate into a compounded increase in heating costs. If higher temperatures are desired, then alternative forms of heat such as solar covers and solar systems should be considered. Having heaters serviced annually to make sure that they function at top efficiency, or replacing with newer more efficient units will make a difference in energy consumption. Circulation times can vary for pools and spas. Follow what the manufacturer or builder recommends, if known. Otherwise, the basic rule for a residential pool is to circulate as needed to keep the water clear. 8 hours per day may be sufficient. This can be adjusted up or down as necessary providing the water stays clean, clear, and safe. Clean filters when needed, not before. Backwashing early on sand filters can waste water, power, and reduce the filters efficient operation. Making sure that the sand bed is fresh can also lengthen time between backwashing. Changing sand or at least running a chemical cleaner through the sand can help reduce the need to backwash. Cartridge filters sized properly, can save time and money by lengthening the time between cleanings. Watch your pressure gauges and look for an 8–10 psi increase before cleaning. Energy efficient motors can be installed on circulating pumps. Also, it may be possible to use a smaller pump or motor. Add a time clock so you can regulate the hours of operation automatically. You can limit the total number of hours that the pump will operate and you can set it to run during off-peak hours (10 AM to 5 PM and 9 PM to 6 AM). Correct any leaks or service problems as they occur. Do not allow them to linger. Inspect automatic pool cleaners to make sure they are in peak operating condition. Use them to maintain the cleanliness of the pool but not for major clean ups. Leaf rakes and leaf eaters do a better job of removing large loads then any auto cleaner. Consider changing to a cleaner that can operate separate from the rest of the system. Make sure that users understand about splash out. We want to have fun, but jumping, splashing, and water fights use up a fair portion of water that needs to be heated as well as chemically treated. Encourage games that focus on keeping the water in the pool. There is rarely a need to drain your pool. Properly maintain your pool to maximize the useful life of the water. Consider alternative forms of care to help keep the water fresh and save time on pool maintenance. Pools seldom require draining. Consult a professional before draining your pool. Create windbreaks around the pool or spa. Cutting wind exposure can reduce loss of both heat and water. Privacy panels, landscaping, or fencing can all be effective windbreaks. Check the Association of Pool & Spa Professionals (APSP) website.